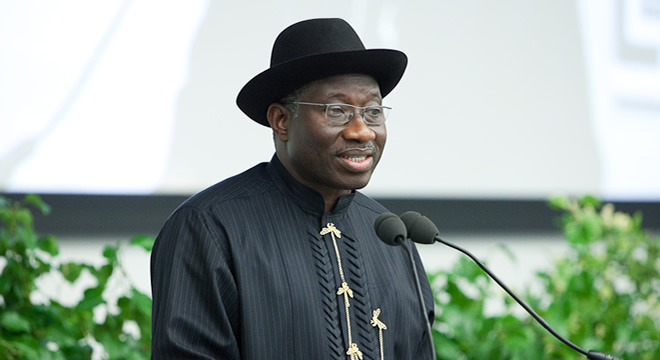 Barring any last minute change of plans by the Presidency, President Goodluck Ebele Jonathan is set to visit Borno and Yobe States on Thursday. Borno and Yobe States have been devastated by the Jama’atu ahlus Sunnah lid Da’awati wal Jihad (Boko Haram) insurgency for three years running. Thousands of lives have been lost and properties, private and public, in the region of hundreds of millions have been destroyed. The social fabric holding society together has been broken, economic activities halted. Borno State, the most hit of the two, has also been the most lucky because the Governor, Alhaji Kashim Shettima, has made concerted efforts towards improving the situation in Borno State through his exposure, experience and education. However, the people of the States have all these while lamented the perceived insensitivity of the President to their plights as he neither visited to sympathise with them nor send a strong delegation to give them hope and a sense of belonging. This was why their joy knew no end when 10 Alliance for Progressive Change (APC) Governors visited last week in solidarity and sympathy walked over a kilometre through the Maiduguri Monday Market, a big revenue spinner before the insurgency, devoid of security where they shook hands and discussed with traders. Even though the APC Governors collectively donated two hundred million naira to the two States, what really touched the people was the courage of the Governors and show of solidarity with the beleaguered people. Alhaji Babagana Aisami, a resident of Maiduguri was so full of happiness and praise “for the singular courage of the Governors” that he said cannot be compared to an earlier visit by the Vice President, Arch. Namadi Sambo, “whose visit caused the entire town to be locked down resulting in loss for all, taxi drivers, traders, artisans, etc”. The question on the lips of most people regarding the Presidential visit is whether the President will do better than the APC Governors as father to all or they will once more receive the Namadi treatment. But Malam Bomoi Adamu, a resident of Potiskum, a town in Yobe, where three North Korean Medical Doctors were slaughtered about a month ago, and countless houses burnt, was optimistic that the President’s visit may be a cause for many who have lost loved ones and properties to get compensation. “Didn’t you see what happened at Madalla when the President visited after the Christmas bombing or when he went to Bayelsa after the flood disaster? We look forward to his visit”, he smilingly said. Yobe Spends N1.5b On Security In 12 Months – Deputy Gov.